If you bought a Porsche with a beige interior that is. We have heard about frivolous lawsuits against automakers. In the past, people have sued manufacturers for stupid reasons, such as not selling them a limited edition car and not including a fail-safe for drivers that don't know the difference between the brake and accelerator. Porsche has just settled one of these crazy lawsuits. Car Complaints reports that owners of Porsches with beige interiors claim that there is a dangerous reflection on the windshield while driving. Amazingly, Porsche decided to just settle the class-action lawsuit. Porsche thought it would be best to settle rather than go through a costly court battle. 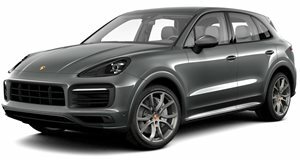 If you are the former owner or lessee of a 2007 to 2010 Porsche with a Cognac, Luxor Beige, Natural Brown, Platinum Grey, or Sand Beige dashboard, you can receive $50 in compensation. 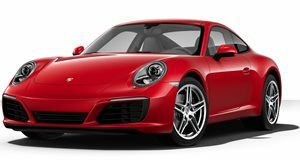 Current owners and lessees of these model years can receive $75 from Porsche. If you are the current owner or lessee of a 2011-2016 Porsche with one of these interiors, you are entitled to $175. The attorneys for the plaintiffs will be compensated with $790,000 plus expenses. So what exactly is this compensation based on? Apparently, the owners in the class-action suit argued that they had to go out and purchase sunglasses to help defeat the glare from the dashboard. The money that Porsche is paying out is meant to reimburse owners for the pair of sunglasses that they were "forced" to buy. If you are one of the people that is affected by this lawsuit, you only have until September 21, 2017 to submit your claim for reimbursement. Without question, this is definitely one of the strangest lawsuits that we've seen against an automaker.